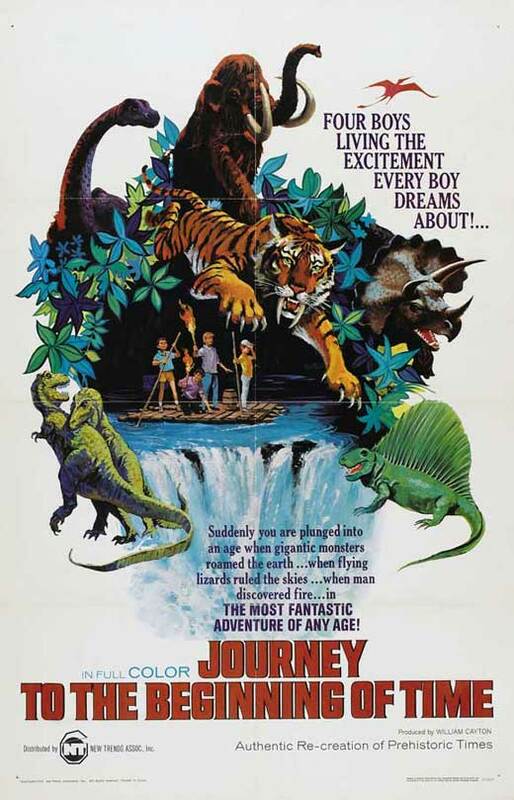 Yesterday I was thinking about this dinosaur movie I’d seen when I was a kid. This was back in the days of stop motion animation and men in rubber suits. Long before computer generated thunder lizards. I couldn’t remember the name of the film, I just knew it was about four boys who travel in a boat down a tunnel and come out the other side into the past. So that’s what I Googled. What I’d seen at a Saturday matinee was called Journey to the Beginning of Time. What I didn’t know back then was that it had originally been a Czech film dubbed into English with a different beginning and end tacked on. This is the version I saw. There’s some pretty good stop motion prehistoric beasts in there, but men in rubber suits make an appearance too. You can find the Czech version here! I remember this movie. I knew enough about the early earth that the final scenes in the movie should have had the kids on the ground gasping for air. That far back, the air was mostly methane and CO2. Not much oxygen. Still, it does bring back memories. That dinosaur drawing on top is terrific! Thanks, Beyond Ken (the most intriguing name ever)!